Hurricane Season 2011 is in full swing, and they are predicting a very active one. If you have a condo or home at the beach, please keep in mind that most of the homeowner policies will not include coverage for wind damage. There are a few that do, but if you're in the state mandated wind zones, you'll need a separate policy. See our webpage for SC Wind and Hail Insurance or contact us for more information. It takes a couple of weeks for a policy to be approved and take effect, so don't wait till a hurricane is approaching before you decide to get your policy! Myrtle Beach SC Rental Insurance - Got any? Do You Know The Value Of Your Belongings? As we head into 2011, renters should ask themselves this simple question: If your apartment suffers sever damage due to a storm, burns down, or is burglarized, would you have money to replace your personal belongings? Make it a New Year’s Resolution to contact an Allstate agent about renters insurance. Most renters don’t realize their landlord’s insurance covers only the building structure and not tenants’ possessions. Well, for about the price of a large pizza per month, you can protect all of your valuables. Renters insurance is available to protect personal belongings from fire, theft, vandalism, and damage from faulty plumbing. Renters insurance also can cover more than personal belongings. Options are available to cover the renter if a guest is injured while in the apartment or if the policyholder or family member causes damage to another property. There are also options to cover reasonable increases in certain living expenses necessary to maintain your normal standard of living, for up to the amount of time specified in the policy, if a covered loss makes your residence uninhabitable. According to recent FBI statistics, 70.3% of all burglary offenses occurred in homes, condos, or apartments, with an average loss of $2,079 per burglary. Renters insurance may cover you against theft both at home and away from home. This coverage includes protection against robbery, pickpocket theft, and even credit card loss, forged checks, and counterfeit money. Discounts are available to renters who are age 55 or older, and to those whose dwellings have a protective device, such as fire extinguishers, smoke alarms, burglar alarms, and dead bolt locks. This includes a discount to renters who live in buildings that provide 24-hour security personnel. You can increase your coverage for certain losses based on your individual needs, such as for jewelry, silverware, and personal computers. Coverage and discounts are subject to availability and qualifications. Other terms, conditions and exclusions may apply. For more information on SC Renters Insurance or SC Homeowners Insurance, see our website! ﻿Now that fall has arrived, we enter deer season which means more deer will be seen crossing roads and highways. Drivers need to be aware of their surroundings so that they can avoid deer collisions. According to the Insurance Information Institute, there are 1.6 million deer-vehicle collisions annually, resulting in 150 occupant deaths, more than 10,000 injuries and over $3.6 billion in vehicle damage. Deer are not just found on rural roads near wooded areas, many deer crashes occur on busy highways near cities. Deer are unpredictable, especially when faced with glaring headlights, blowing horns and fast-moving vehicles. They often dart into traffic. Deer often move in groups. If you see one, there are likely more in the vicinity. Drive with caution when moving through deer-crossing zones, in areas known to have a large deer population and in areas where roads divide agricultural fields from forestland. Always wear your seat belt and stay awake, alert and sober. When driving at night, use high beam headlights when there is no oncoming traffic. The high beams will better illuminate the eyes of deer on or near the roadway. Be especially attentive from sunset to midnight and during the hours shortly before and after sunrise. These are the highest risk times for deer-vehicle collisions. Brake firmly when you notice a deer in or near your path, but stay in your lane. 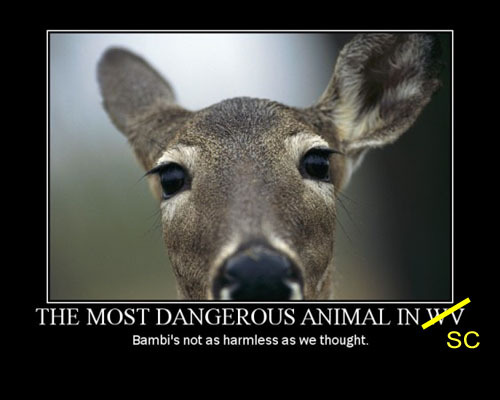 Many serious crashes occur when drivers swerve to avoid a deer and hit another vehicle or lose control of their cars. Do not rely on devices such as deer whistles, deer fences and reflectors to deter deer. These devices have not proven effective. For more information on safety topics, see our SC Car Insurance pages on our website, or contact us at (843) 249-6317. Modern-day life is complex and becoming more confusing every day. From online banking to electronic medical records, it sometimes can seem as though the entire world has access to your most private information. Unfortunately, with more than 9 million Americans victimized by identity theft each year with an average loss of roughly $5,000, the risk of privacy invasion and overt fraud is very real. One way to combat this growing problem is with an identity theft insurance policy. Identity theft insurance provides an additional layer of protection against unauthorized charges and costs related to the illegal use of your Social Security number, credit card, or banking and other private data. Most identity theft policies pay for out-of-pocket expenses, including lost wages, certified mail, notary and legal fees, and other miscellaneous charges. According to the Privacy Rights Clearinghouse, victims spend an average of 22 workdays trying to dispute charges and rectify records. Critics note that credit card balances are already covered if properly reported in the required period of time, but that does little to assist victims with the additional costs incurred to restore their credit and banking data. With a policy often costing less than $100 per year, most experts believe it's a small price to pay for peace of mind. If you'd like more information on identity theft insurance, homeowners insurance, or South Carolina car insurance with the lowest rates around, visit our website at http://www.carolinapolicies.com/ or give us a call. We'll be glad to answer all your questions. As millions of students pack bags, crates and trunks with their most valuable possessions and head to colleges and universities this fall, many probably aren’t thinking about what might happen after they arrive. With a full load of classes, exams and social events on their minds, students may not give much thought about protecting their clothes, electronic gadgets and other valuables in their college homes away from home – but they should. Whether a student lives in a fraternity or sorority house, a college dorm or somewhere off campus, protecting their possessions against disasters, damage and theft should be an assignment that’s completed before showing up at school. Students might think they’re covered under their parents’ policies, but it’s important to clear up any uncertainty and get some definite answers on proper insurance coverage. Are college students covered under their parents’ homeowners policies? Students who live in campus dormitories, fraternity or sorority housing, are covered under their parents’ Allstate homeowners, renters, condominium or manufactured home policies. This coverage also applies for students who attend out-of-state colleges. There is no extra cost for this extended personal property protection for college students and contents are covered 100% up to the inside limits and amounts stated in the policy. However, highly valuable items may require their own protection in order to recover their full value. What are scheduled personal property endorsements? If students want to have any highly valued items with them at school, such as jewelry, electronic devices, musical instruments, etc., it’s a good idea to make sure they have proper insurance coverage in order to recoup the full value of these types of items if they disappear or get damaged. A scheduled personal property endorsement allows you to protect specific, high value items without having them affect any policy limits. For example, coverage for electronic data processing equipment may be limited to $2,500, depending on the policy. But a laptop computer loaded with the latest software and wireless Internet gadgets may be worth more. However, with a scheduled personal property endorsement, you may increase the amount of coverage on a particular item, without impacting coverage limits that may apply to other items. What if I rent an apartment? For students who choose to pay rent for off campus, non-university related housing, it’s recommended that they secure their own renters insurance policies for proper coverage of their valuables. Coverage of personal property, for those not living in student dormitories, fraternity or sorority housing, may be limited to only 10 % when personal property is located at a residence other than the one stated in an Allstate SC homeowners insurance policy. Would my fraternity or sorority house have its own insurance? A fraternity or sorority may have its own commercial insurance policy to protect against structural damage caused by severe weather, fire, etc. Depending on the policy, it might not apply to the personal contents of students living in the house. Your home at school should enjoy the same protection as your permanent home. Your path towards earning a college degree should be free and clear of pitfalls resulting from damage or theft of personal items that make your home away from home a special place. Having the proper level of coverage on your most prized possessions is a lesson that may pay off long after you’ve left the classroom. For more information on South Carolina renters insurance, check out our website or give us a call! The Atlantic hurricane season runs from June 1 until November 30th and 2010 is forecast to be a very active year. Experts are predicting 18 named storms with 10 hurricanes and 5 of them major hurricanes at a category 3 or higher. 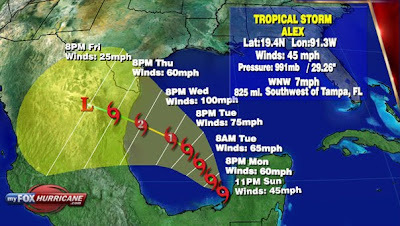 According to the Department of Atmospheric Science at Colorado State University, there is a 76% chance that a major hurricane will hit somewhere along the US coast and a 51% chance that it will hit somewhere along the east coast of the US. So, what can you do to prepare? 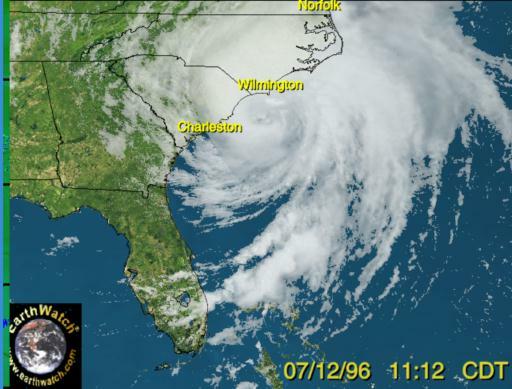 For starters, visit the 2010 South Carolina Hurricane Guide. It contains a wealth of information about being prepared in the event a hurricane comes to your area. As you know, keeping you and your family safe is the most important thing. Make sure you have insurance coverage on your property. Meaning...make sure that your policy is paid and is active. Once a storm is approaching, you will not be able to buy Wind and Hail Insurance or homeowners insurance that provides it. If your premiums are paid by your mortgage company, please don't assume that they will pay them correctly or on time. Verify with your agent that your policy has been paid. Review your SC homeowners insurance coverage yearly with your agent to make sure that you have enough coverage and the correct type of coverage. Understand how your deductible works. 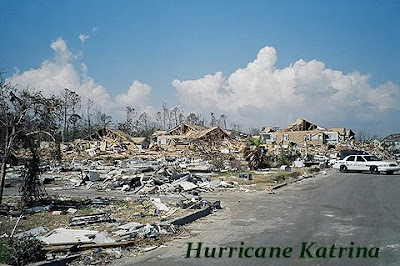 If you live near the coast, most companies have a much higher deductible for damage done by wind or tropical cyclone. Know your policy so you won't be caught off guard in the event of a loss. Consider buying flood insurance. A loss from flood is NOT covered on your regular homeowners policy. So, if there is a possibility that your property could be flooded, buy a flood insurance policy. FEMA Flood insurance is inexpensive and can be quoted and written very quickly. However, there is a 30-day waiting period for the initial purchase of a flood policy so buy it before you need it. Remember...We are here to help, so give us a call. If you currently have your insurance with us or not, we will be happy to review your policy and make sure it is what you need. Motorcycle Insurance in Myrtle Beach - Play it Safe! With the two major bike rallies behind us this year, the state of South Carolina has announced that Myrtle Beach's controversial helmet laws are unconstitutional and must be repealed. This is a happy day for many motorcycle lovers, but is sure to cause more injury and death on the highways. We encourage everyone to wear a helmet when they ride. It's at least or even more important than wearing a seatbelt, and seems a small price to pay to help prevent devastating head injuries. We offer excellent rates for SC motorcycle insurance on standard type bikes such as a Harley. Racing bikes like the ones often seen over Memorial Day are not standard motorcycles and are very expensive to insure. Before you buy a bike, be sure and run it by us to make sure the one you choose falls into a category you can afford to maintain, for both safety and monetary reasons. Passengers are covered - we are often asked this, and the answer is yes. We hope your rider is wearing a helmet too! Riding your motorcycle around Myrtle Beach is great fun, but try to keep your safety in mind while you're riding, and don't be a statistic. Remember too, that combining your insurance coverage with your SC car insurance gets you the best discounts for all! The National Oceanic and Atmospheric Administration or NOAA has predicted a very active hurricane season this year, which starts on June 1. If you have a home or condo inside our Hurricane Wind Pool, (from the beach out to Hwy 31 on the north end) your regular SC homeowners insurance will not include the coverage of hurricane or storm damage from wind. Time is short for getting the state funded wind and hail coverage - and once we have a bad storm, it's too late. If your property is in any of the NC or SC Wind Pool areas, you'll need to get your coverage with a separate policy we sell from the states of North and South Carolina. There is a 15 day waiting period also, so if you're a present or new customer, be sure to check with us about your SC Wind and Hail Insurance coverage as soon as possible. Likewise, FEMA flood insurance is NOT part of most standard homeowner, mobile home, or SC renters insurance policies. You must buy separate flood coverage and there is a waiting period of 30 days for this. According to the National Flood Insurance Plan, 25 percent of all flood claims occur in low-to-moderate risk areas. Therefore, flood insurance is recommended for all consumers even if it is not required by the federal government or their mortgage lender. After you have reviewed your coverage, write down your basic insurance information, such as the name and phone number of your insurance agent, your insurance policy number and your insurance claims phone number and keep it with you if you evacuate. Ask your insurance provider about loss-mitigation techniques, such as installing hurricane shutters, to protect your home and valuable personal belongings. Insurance companies offer premium discounts or credits for retrofitting your home to prevent hurricane damage. Update your household inventory. Make a list, take pictures or videotape your personal belongings and store the inventory in a safe place outside your home. Take your updated inventory with you if you evacuate. You can also use free software to keep your inventory online by visiting the Insurance News Service Web site, www.scinsurance.net. The time to protect your property with adequate insurance is BEFORE you need it, not by wishing you had it when it is too late. We at Todd Insurance Agency pride ourselves in having the most affordable insurance in Myrtle Beach, whether it's SC car insurance or protection for your home. Call or email us today! Can you afford to buy? Be sure to calculate the costs of owning a home, repairs, property taxes, and of course, insurance. If you haven't saved enough for a substantial down payment, it might be better to put off buying until you have. Consider a condo! If you aren't one who loves to mow the lawn, or you want a pool, consider buying a condominium instead of a house. Look for condos that are strictly residential - it's very hard to get financing for any unit that can be considered a rental condo in Myrtle Beach. It's also somewhat harder to insure a condo close to the ocean, but it may save you money in the long run. Although the first time home-buying credit has currently run out, there are often other government incentives for buying homes. Areas with farming acreage sometimes qualify for grants. Some cities help with buyers who purchase and renovate downtown areas or historical sites. Check around to see if anything applies in your area. FHA Loans recently became harder to come by, with requirements of a 10% down payment for those with a credit score less than 580. With the lower interest rates and easier qualifications, again it might be well to find the extra money for that down payment, either from family or by waiting until you save enough. Before applying to the Bank of Mom & Dad, note that outright cash gifts can result in big tax bills. Forbes says that taxes can be avoided by setting up the cash give as a structured loan, and following miniumum interest rate requirements set up by the IRS. Information about this can be found on the IRS.gov website. From property in economy-strapped Las Vegas, Florida, or California, to real estate in Albuquerque, NM, foreclosure purchases can be money saving transactions. It's best to find a Realtor that specializes in them, and to get a mortgage pre-approval letter before you begin to look. 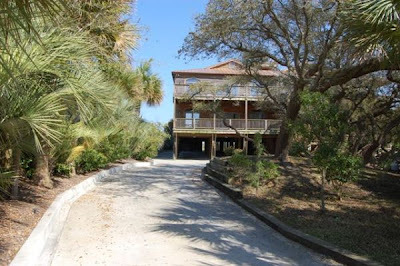 In the Grand Strand area, taxes are much, much cheaper outside the city limits of Myrtle and North Myrtle Beach. Consider the outlying areas like Little River on the north end, or Hwy 501 and Socastee on the south end. Here is a fantastic tip from Forbes! Some states mandate lower title insurance rates for a buyer if the home's previous owner purchased it recently. Shop around before going with the first policy, and you may save as much as $1000. If you've got the talent for home repairs or have an inexpensive source of help like a friend or family, considering a higher deductible might be a big money saver. Buying a home security system, smoke alarms, and other safety factors can save on your homeowner's insurance. Allstate offers a substantial discount when you let us cover your car along with your home. It can even save you on any boat insurance, motorcycle insurance, or other personal policies that you add to the mix. Call us and inquire to see just how much we can save you by combining your policies! We've got the best SC car insurance prices too! North Myrtle Beach, SC (05/18/2010) - Remember the independence you felt as a child when coasting along on your bike? Even with training wheels, riding a bike creates a sense of fun and exhilaration that’s hard to beat. Unfortunately, that exhilaration can lead children into harm’s way if they aren’t taught to practice bike safety. 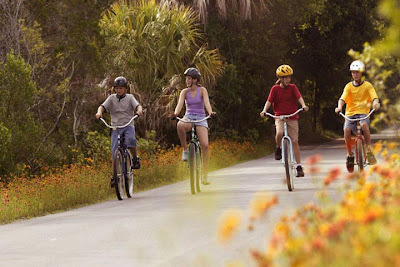 ”Although kids might not see it this way, a bike is a vehicle, not a toy,” says Myrtle Beach Allstate agent, Scott Todd. “Riding a bike can be tremendous fun, but it also can be dangerous. Parents who teach their kids a few simple bike safety rules will go a long way in protecting their kids’ safety." 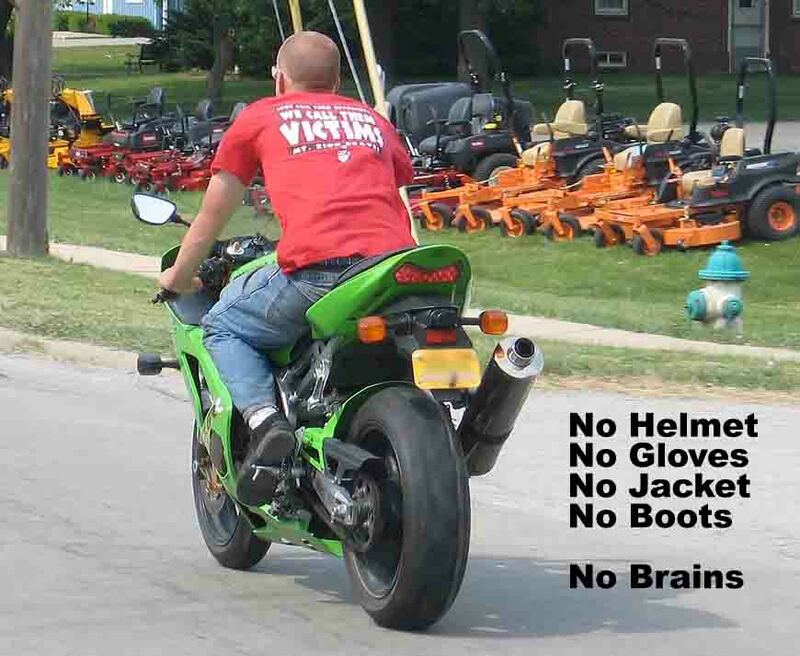 Use Your Head—Wear a Helmet! Most bike-related deaths result from head injuries. Kids can prevent most serious head injuries by wearing a bike helmet. Children learn by example, so it’s important that parents practice good bike safety habits and wear a helmet themselves when they ride. Most crashes between a car and a bike happen at intersections and driveways, so keep your eyes open when entering these areas. Look out, too, for parked cars. Drivers in parked cars could pull into traffic or open their doors into a bike rider’s path. Riders should stay on the right side of the street near the curb and walk their bicycles across busy streets. Kids should attach a fluorescent-colored flag on a flexible pole to their bike and wear brightly colored helmets and clothes to make themselves more visible. Kids should not ride their bikes at night. Riding a bike that’s the too big or too small makes it easier for a child to lose control and become injured. Check with a local bike shop to have your child fitted to his or her bike. Just as you would with your car, have your kids lock their bikes when they leave them. The best protection against bike theft is a chain and lock. For more information on bike safety or other safety topics, contact North Myrtle Beach Allstate agent Scott H. Todd at 843-249-6317 or visit our website. We can offer the best price on car insurance in South Carolina as well as SC boat insurance, SC homeowners insurance, motorcycle insurance in SC, and more. The Allstate Corporation (NYSE: ALL) is the nation’s largest publicly held personal lines insurer. Widely known through the “You’re In Good Hands With Allstate®” slogan, Allstate is reinventing protection and retirement to help more than 17 million households insure what they have today and better prepare for tomorrow. Consumers access Allstate insurance products and services through Allstate agencies, independent agencies, and Allstate exclusive financial representatives in the U.S. and Canada, as well as via www.allstate.com and 1-800 Allstate®. 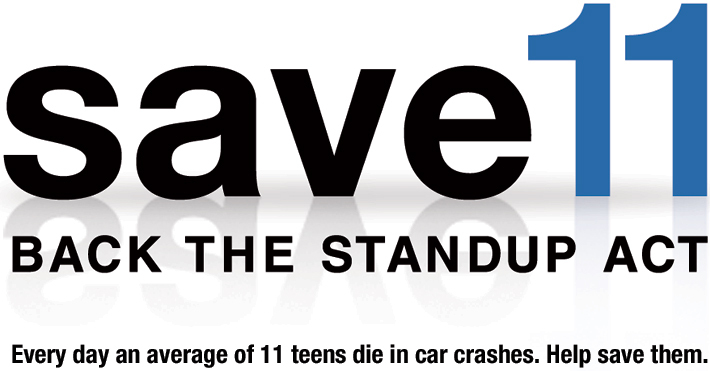 Save11 is dedicated to reducing or eliminating the more than 4,000 needless fatalities suffered by our nation's inexperienced teen drivers every year. You can make a difference. To achieve our goal, we need your help to persuade Members of Congress to pass the Safe Teen and Novice Driver Uniform Protection Act (H.R. 1895, S. 3269). It has the potential to save thousands of teen lives by better preparing them for the road. The STANDUP Act would establish minimum requirements for state Graduated Driver Licensing laws. These Graduated Driver Licensing laws have already reduced the number of fatal crashes among 16-year-olds by nearly 40% in states where they are strictly applied. Learners Permit: Teens cannot obtain a learners permit until age 16 and this stage is at least six months in duration. Learners are not allowed to drive at night without adult supervision, or use a cell phone or other communication device. Learners may not drive with any passengers except for licensed adults older than 21 providing supervision. Intermediate Stage: This stage is in effect until the teen is 18 years of age. Intermediate drivers are not allowed to drive at night without adult supervision, or use a cell phone or other communication device. They may not drive with more than one non-family passenger under the age of 21 without a licensed driver older than 21 present in the motor vehicle. The Secretary of Transportation may introduce additional requirements for novice drivers in the learner’s permit stage such as at least 40 hours of behind-the-wheel training with a licensed driver who is older than 21. Help prevent more than 4,000 teens from dying in car crashes this year. 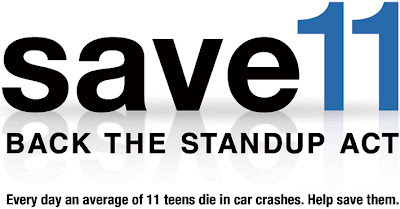 Add your online signature to our petition to stop the #1 killer of teens at www.allstate.com/STANDUP. or for more information see the Allstate Teen Driver Info Page. Todd Insurance Agency is proud to support this promotion. If you want the cheapest car insurance in South Carolina, call us! So you’ve made the down payment, you’re up to date on your mortgage, and you’ve insured your home. You think you’re sitting pretty and that your property is covered by your policy, so even in the event of a calamity, you’re not going to suffer a major financial loss. But when it comes to insurance, what you don’t know usually dwarfs what you do know – for example, how many people know that some insurance policies (even those that promise to provide “complete” coverage) come with many exclusions? For this reason, you should be certain that you choose an agent you can trust and a reputable insurance company that puts your best interests first. Flooding or other natural disasters – if you live in areas that are prone to earthquakes and frequent floods, you have to buy additional coverage to protect against these catastrophes. Renovation costs that you must incur in order to comply with building codes. This is also an add-on coverage, but is usually not a problem. Destruction or confiscation by the government due to encroachment or other illegal acts. Destruction due to war or acts of terrorism (some policies pay out when terrorists hit while others are becoming more choosy because of the increase in acts of terrorism) The government themselves may help if it's a case of terrorism, however. Neglect – when you’ve left your home unattended for a period of a month or more and return to find it vandalized or damaged. Most homeowners policies are priced based on someone living in the home. They will not deny a claim if you are on an extended vacation, but if you leave and remove the contents, it no longer becomes a "homeowner's" policy. Damage caused by water and sewage backup – you will have to pay more to protect your home against these events. Water claims such as a busted pipe, roof leak, washer hose leak, etc., are covered. You would have to add coverage for water backup because it is closely related to flood and flood is excluded. Usually there is no issue with water backup unless there is a flood. Damage caused by wear and tear, rust, corrosion, and gradual degradation. Insurance is not a maintenance policy. 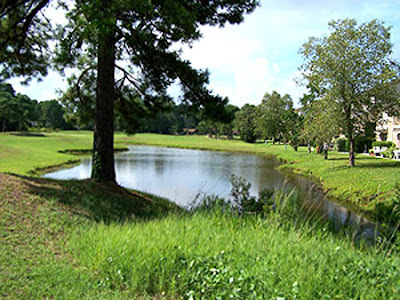 As an owner, you are responsible to maintain your property. 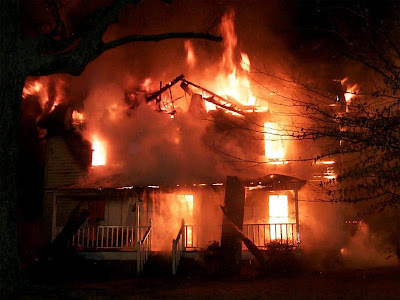 Insurance is for sudden and accidental loss such as fire. Besides these, your insurance company can refuse to pay out if they’re able to prove that you provided falsified information when signing up for the policy. So if you’re fudged a few facts to reduce your premium and recurring payments, you may end up being the loser when the time comes to stake a claim. You’re also responsible for maintaining your home well, and undertaking repair work on previous claims – if you fail to do these things, you’re not allowed to claim for damages that result from your negligence. The best way to ensure that you’re covered completely is to ask the right questions and be fully informed before you sign up. Visit our website for more information on SC Homeowners Insurance and how to get the cheapest car insurance in South Carolina. This guest post was contributed by Nicole Adams. Nicole writes on the topic of construction management and welcomes your comments at her email id: nicole.adams83@gmail.com . Horry County homeowners outside of the city limits should soon see a reduction in their flood insurance rates. The county has applied to a national FEMA program called the Community Rating System, or CRS, which presents safety protocols that have to be followed and the county is graded as to how well floods are managed by Horry County Emergency Management officials. If we're accepted, everyone will see a 5% reduction in their SC flood insurance rates. It is only for people in the county, not inside the city. They estimate a reduction of $25 per year for homeowners in a flood zone, and $14 a year for those not in a flood zone. Countywide, it represents about $300,000. Emergency management officials say they will work to upgrade our position with FEMA and reductions can increase even more in years to come. If Horry County is accepted, rate decreases could be seen as early as October. See our website for information on lowering your SC car insurance premiums as well. AOL Autos had a great article on how to foil a car thief, with tips on making sure your car insurance doesn't end up having to replace it. 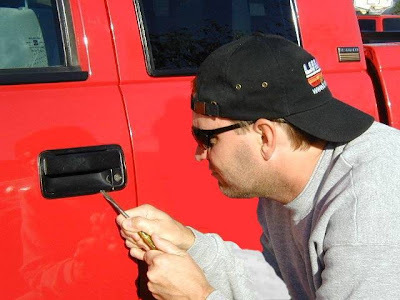 It never occurrs to most people that a car thief could work so quickly on a locked car, but according to the article, you could walk into a convenience store, buy coffee, and walk out to find your automobile heading down the road without you. They also say that New Years day is the biggest day for car thefts. Park only in well-lit, populated areas. Always take your keys and lock your car. Don't use any of those magnetic key holders or leave spare keys on your car. Thieves know exactly where to look. Though they say car alarms are not that useful, it does tend to make the thief feel he has to work faster, and if he runs into multiple safety measures, he may move on to an easier target. Applying the emergency brake, turning your wheels to the right or left, putting the car in park, and using a vehicle recovery system or engine immobilizer device will help. One unique suggestion was if you are parking in an airport parking lot or long term somewhere, to remove the cables to your car battery. If it doesn't start easily, the thief will move on. Lastly, they advise to engrave the VIN number in the trunk, on your stereo equipment, or inside your doors. Your local police will probably offer this service. Think smart, don't be a victim, and always keep adequate coverage on your auto. 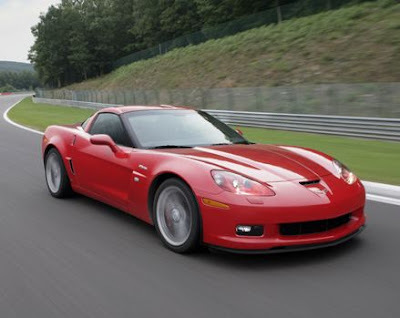 Visit our website to get a SC car insurance quote, and see how much money we can save you with a good driving record. 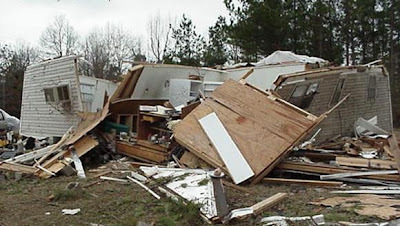 From time to time I am asked about SC homeowners insurance for a "modular home". A modular home is built in a factory under a controlled environment. It is constructed in several sections and put together on the job site. A modular home is NOT built around a metal automotive frame to keep it mobile. A modular home is NOT titled but is deeded. A modular home is transported to the job site on a flat bed trailer. A modular home is lifted onto a permanent foundation by a crane. A modular home is NOT underpinned. All of these things are good things to look for when trying to distinguish a true modular home from a mobile home. This is very important because a modular home is insured like a regular stick-built home and hopefully will increase in value over time. Mobile homes, on the other hand, have a higher insurance cost per thousand of coverage. Every spring and summer families and neighbors delight in gearing up for barbeques and cookouts. Nothing is more irresitible than the smell of a steak, or even a hotdog or hamburger cooking on a grill. As harmless as this family activity sounds, every year charcoal grills and gas grills cause fires that cost hundreds of thousands of dollars in damage. Keep pets, children, and boisterous games away from the grill. 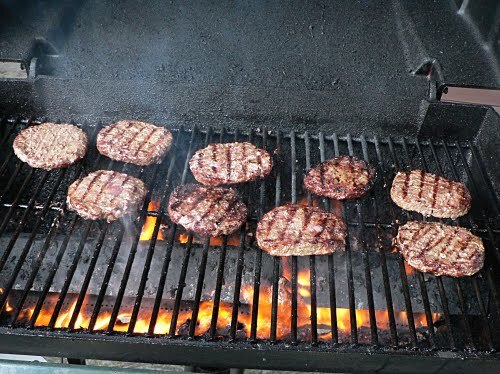 Make sure the grill is on a flat area, and kept away from outbuildings, trees or anything flammable. Don't leave the fire unattended EVER. Do not light a grill indoors, in a garage, or on a porch. Position yourself so that the wind is away from you when you light the fire or maintain the coals. Never pour extra lighter fluid on hot coals or start a fire with explosive liquids such as gasoline or kerosine. Trim away visible or excessive fat to prevent flare-ups when dripped on hot coals. Never eat pork or chicken rare. Pre-cook inside to be sure the meat is completely done. More than half of Americans say they are grilling outdoors year round. Use safety precautions and enjoy your family and the neighborhood cookouts. 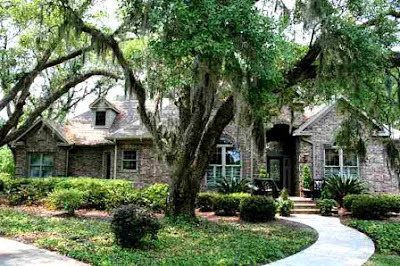 Keep your SC homeowners insurance up to date just in case! Todd Insurance Agency is your go-to agency for homeowners coverage, South Carolina renters insurance, and car insurance in Myrtle Beach. E and O, or Errors and Omissions insurance is a broad-reaching type of coverage which protects professionals (real estate agents and brokers) from liability resulting from negligence after a sale, unintentionally omitting information on a property, and MLS listing errors, among others. Even the most honest Realtor can end up as a defendant in a lawsuit. Without comprehensive Errors and Omissions insurance, companies or agents might have to pay thousands of dollars to clear your name--even from a frivolous liability suit. A recent article from the Albuquerque Real Estate Board, or the GGAR (Greater Albuquerque Association of Realtors) was interesting to read, aimed at their Realtors. We sell SC renters insurance and SC homeowners insurance, but the industry as a whole is affected by all its types and divisions. As part of a new risk reduction initiative, the New Mexico E&O insurance administrator, Rice Insurance Services Company, LLC has conducted a review of the 31 New Mexico claims that involved incurred amounts over $50,000 since 2004. The incurred amount includes damages paid, estimated damages to be paid, expenses paid in defending the claim, and estimated expenses to be paid in defending the claim. One clear finding from this review is the need for a reminder to all licensees to verify information prior to including it in the Multiple Listing Service (MLS). Five of the high dollar claims involved inaccurate information included in a MLS listing. Two claims involved the agent using old MLS information without verification of current information (one previous listing incorrectly stated that the unit included a garage, and another previous listing incorrectly stated that a guest house was included with the property and could be used for rental income). One claim involved new construction when changes were made to include additional amenities and the agent updated the MLS listing with the new price but failed to list the new upgrades. One claim involved a listing misrepresenting that the house as being designed by a famous architect. One claim involved misrepresentation of the square footage in the MLS. Contact us for information or quotes on car insurance in Myrtle Beach, Homeowners Insurance in Myrtle Beach, or any other insurance needs. The recent financial crisis has not only caused major issues for the real estate industry, but it has also affected the insurance industry, and SC homeowners insurance in ways that you might not realize. Insurance companies make money in basically two ways: investment income and underwriting income. Investment income is basically making money from investing their profits. Insurance companies invest like the rest of us, in stocks, bonds, mutual funds, etc. How have your investments performed over the last couple of years? So, needless to say, they are not making a lot of money from their investments. Underwriting income or basic profitability is the obvious way we would all think of an insurance company making money. They price risk, charge and collect premiums, take out for expenses and claims, and what is left over is net profit. 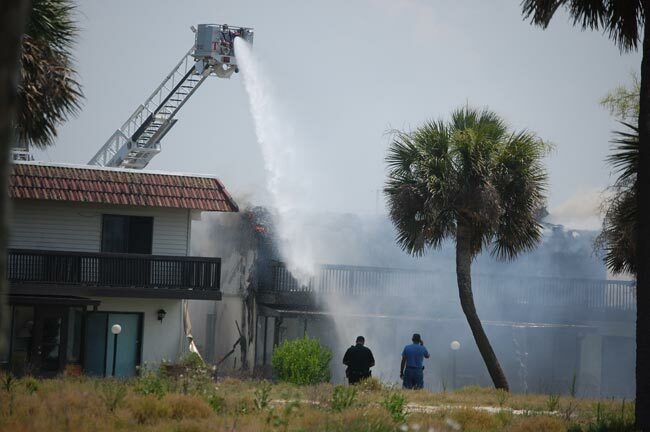 I think that in the near future insurance companies will see increased pressure; more so in their property lines such as homeowners, condo, mobile home, and renters insurance. The homeowner line, in general, is not profitable for a lot of companies throughout the industry. Don’t file small claims – A lot of companies offer claim free discounts, so filing a small claim might cost you more in the long run. Usually it takes 3 to 5 years to earn that claim free discount back. Consider a higher deductible – The higher the deductible, the lower the premium. Having a higher deductible will also help you with the first point. Insure your home, autos, and other toys such as boats, motorcycles, RVs, and ATVs with one company. Usually if one company insures it all you get various discounts on each policy. Also, remember to look at it as a package. One company may be a little higher on your car but because of the discounts, as a package it is cheaper than having 4 or 5 different companies. Have an agent, know your agent, and sit down with him or her every year. Things in life change for you and for your insurance company. Make sure you are covered adequately and make sure you are getting all of the discounts that you are entitled to. Companies add new discounts from time to time. Don’t assume you will get them without asking. Insurance is complicated. Don’t wait until claim time to find out if something is covered. Talk to your agent. Call me for home or car insurance in Myrtle Beach. We'd love to service your insurance needs at Todd Insurance Agency. As the foreclosure crisis continues to deepen across the United States and in South Carolina, there are several new options available to distressed homeowners. North Myrtle Beach, SC (PRWEB) January 1, 2010 -- The Home Affordable Modification Program (HAMP) has been in effect during 2009, but very few homeowners have been able to qualify for this program to restructure their loan. Realizing this, the U.S. Treasury launched the Home Affordable Foreclosure Alternative (HAFA), making the "short sale" process a much more viable way to avoid foreclosure. With winter temperatures in Myrtle Beach being fairly mild, many locals may be tempted to save money on heating their homes by turning the central heat very low and using a kerosene or space heater. Although we can hardly blame people for trying to save money in this economy, the U.S. Consumer Product Safety Commissionusing warns that these types of heating devices cause around 22,000 residential fires every year. Around 300 deaths are a result of using various space heater types. Select a space heater with a guard around the flame area or heating element. Place the heater on a level, hard and nonflammable surface, not on rugs or carpets or near bedding or drapes. Keep the heater at least three feet from bedding, drapes, furniture, or other flammable materials. 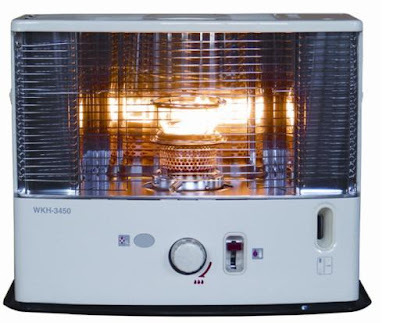 Choose a space heater that has been tested and certified by a nationally recognized testing laboratory. These heaters meet specific safety standards. Keep doors open to the rest of the house if you are using an unvented fuel-burning space heater. This helps prevent pollutant build-up and promotes proper combustion. Follow the manufacturer's instructions to provide sufficient combustion air to prevent CO production. Have a smoke detector with fresh batteries on each level of the house and a carbon monoxide detector outside your sleeping area. Be aware that mobile homes require specially designed heating equipment. Only electric or vented fuel-fired heaters should be used. Have gas and kerosene space heaters inspected annually. Be sure to maintain your SC homeowners insurance or renters insurance always. If the worst were to happen, you wouldn't want to compound the problem with a lapse in your insurance coverage. Visit our website for more tips on SC car insurance, home, and condo insurance.